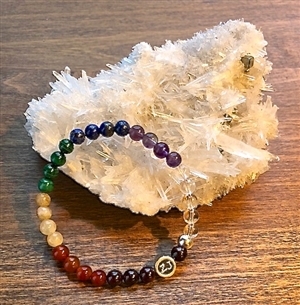 Client sent me a picture he found on the internet of a chakra balancing bracelet that he liked. He wanted to have a bracelet made for himself, his wife and daughter. The photo he sent me had spacers separating the chakras but he requested no spacers on his custom bracelet. 6mm size gemstones and no charm.